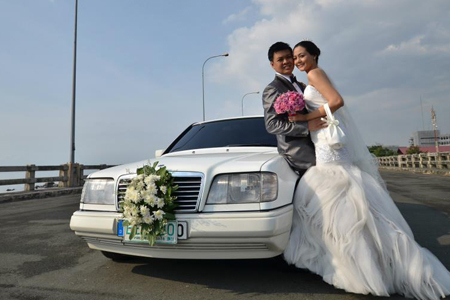 Nat Villanueva and Edfer Lyn Quintero are two beautiful people who celebrated their wedding in style with a red carpet Manila wedding last December 08, 2012. It was the beginning of a life of love, beauty, class and style. Nat and Lyn met in the stairway of their college where Nat was studying Medicine while Lyn was in Nursing. Maybe it was love at first sight. Maybe it was destiny. After four months of dating, they have been together as a couple for seven years. With a wife who was a former beauty queen and model, the most fitting wedding theme for the couple was glamorous red carpet. 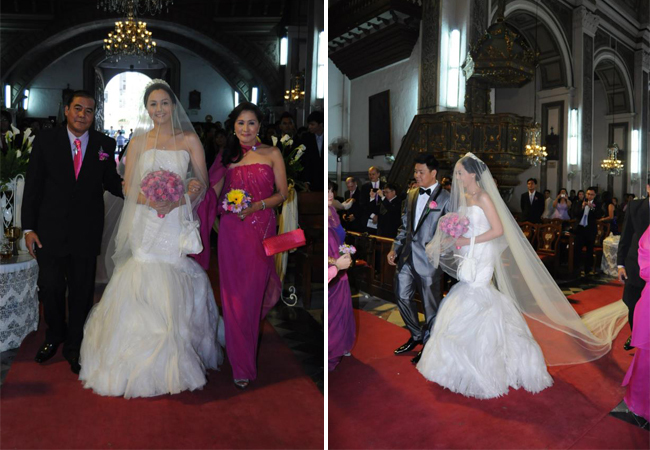 The bridesmaids and groomsmen were all beauty queens and models so they were sure that it will be a beautiful affair. All guest were requested to wear long gowns for ladies and suits/barong for men. The color motif was pinks and purples. Nat and Lyn were very happy with everything that happened in their Manila wedding planning. They were even happier when they saw the fruits of their wedding labor. Even the priest at San Agustin Church gave them the most wonderful compliment. He said, “This is actually the most wonderful and beautiful marriage that I have celebrated in my life as a priest.” Their guests loved their theme as well, with 99% of them coming in proper attire. To capture the momentous event, Nat and Lyn hired only the trusted wedding photographer Nice Print Photography and Exige Weddings. They captured the couple’s still photographs and on-site video. For their delicious food, they chose Hizon’s Catering – a recommended wedding supplier for worry free weddings. Nat and Lyn saved on flowers and splurged on wedding memento that they will keep after the celebration – Bvlgari rings, photo/video and the wedding dresses. They pulled off a red carpet wedding with beautiful people, glamorous ambiance, a lively program and of course, true romance. A toast for these beautiful people in love. 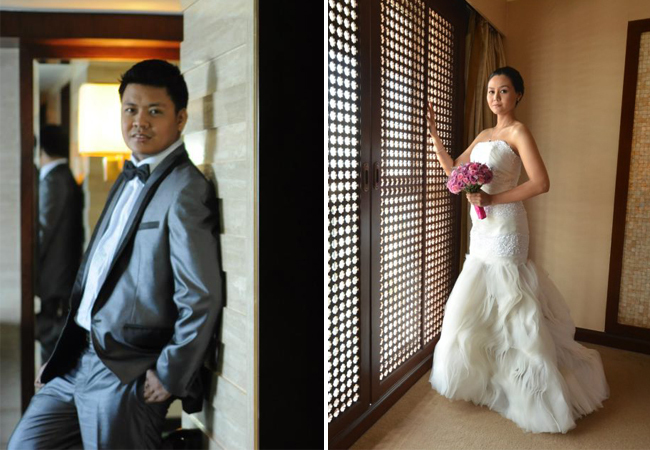 For more of Nat and Lyn’s Red Carpet Manila Wedding, go to Wedding Photos. Visit Kasal.com Supplier Directory for the contact details of these suppliers.